Mozambique is “free of all known landmines,” Foreign Minister Oldemiro Júlio Marques Balói announced at a public event in the capital city of Maputo on Sept. 17. The deadly anti-personnel mines, laid by all sides during a civil war that lasted from 1975 to 1992, made Mozambique into one of the most mined countries in the world. The government estimated recently that as many as 10,900 people had been killed or injured by landmines in the past 40 years. 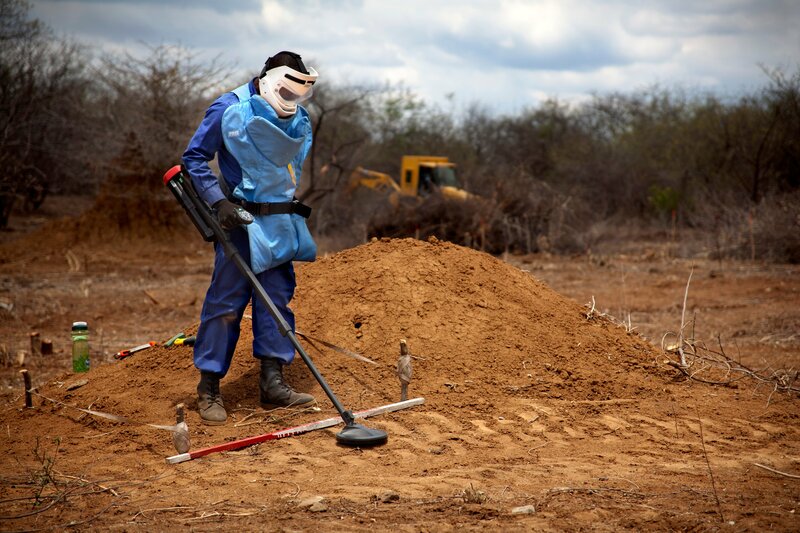 The first large-scale mine clearance effort in Mozambique was launched by the United Nations in 1993. The Halo Trust, a Scottish nongovernmental organization dedicated to landmine clearance, supported the effort. Halo said it has cleared more than 171,000 landmines from more than 1,100 minefields in Mozambique over the past 22 years, using manual and mechanical demining methods. Apopo, a Belgian group involved in landmine clearance, said that it had assisted five provinces in the southern African country in eliminating the weapons since 2008. The group said that it had destroyed a total of 13,274 landmines, returning more than 11 million square meters of land to safe and productive use. Landmine clearance “gives the children of this country a safe and peaceful life,“ said Cindy McCain, chairman of Halo’s U.S. chapter in a video released to commemorate the event.